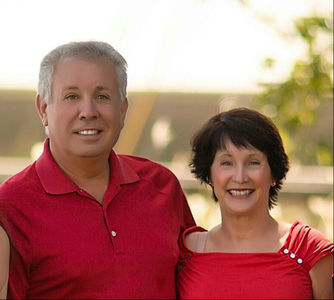 Since 1987, Ron and Janice Stephens have owned and operated Quick Rx Drugs. They created a caring and professional atmosphere for patients that need quick, reliable and personable service. On January 2017, Ron officially handed the reigns of the business over to his daughter, Karen. Janice continues to help Karen run the company while Ron works hard as a Georgia State Representative. Ron and Janice have 2 daughters and are now enjoying watching their 3 grandchildren grow. Karen Stephens Brown, Pharm D, graduated from the Mercer University School of Pharmacy and immediately began following in her father's footsteps in the family pharmacies. She has helped her parents grow Quick Rx to 6 retail locations and 1 institutional pharmacy throughout 2 Georgia counties. She is the CEO and Supervising Pharmacist of Quick Rx Drugs, and in January 2017, she added the title of owner to the business. She has a husband named Chase and a son named Walker. 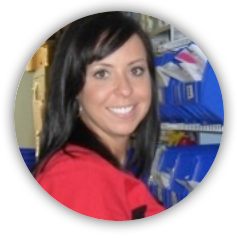 Danielle Cela is a native of Savannah and has been with Quick Rx in Rincon since 2011. She grew up here with a brother and a sister and graduated from Jenkins High School in 1999. She attended Mercer University and received her PharmD in 2005. Danielle enjoys reading and just hanging around her home. Jenny Schmucker grew up in Pennsylvania and received her B.S. in Pharmacy from the University of Toledo, Ohio in 2000. She and her husband Rodney have been stationed in many states, but after her time here in 2000, they decided they would return. With her husband and her two kids, she made Savannah and Quick Rx her home in 2010. When she isn’t working, she enjoys running or shopping. Steve Spilliards was born and raised here in Savannah and is a graduate of Tompkins High School, 1973. He went on to pursue his pharmacy degree from University of Georgia graduating in 1980. After receiving his degree, he came back to Savannah and has lived here since with his wife of more than 27 years, Libby. 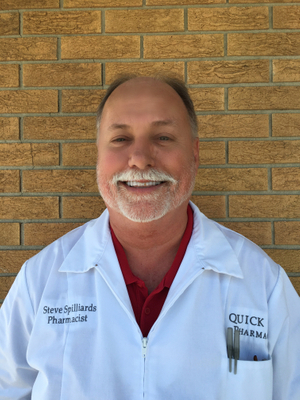 He began working with Quick Rx in 2008 as a floating pharmacist, but has since found his home at the Savannah store, The Prescription Shop. He enjoys golfing with his dad and fishing with his daughter who is following in his footsteps as a pharmacist. 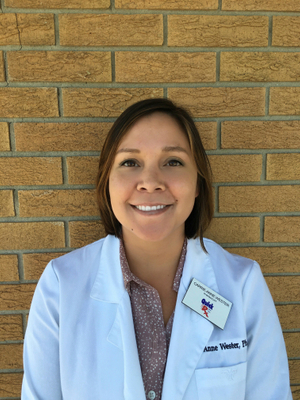 Jennifer Williams has been employed with Quick Rx since 2008 and is the Pharmacist in Charge at the Springfield location. She graduated from the University of Georgia with her Doctorate of Pharmacy in 2000. Jennifer enjoys spending time with her family, church activities, scrapbooking, and GA Bulldog football. She loves working for a family based company and serving the town in which she was raised. Ron Cook graduated from the University Of Georgia School Of Pharmacy in 1976. 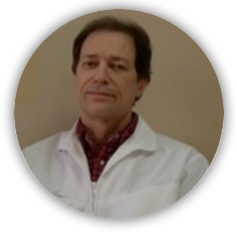 He has been working for Quick Rx over 20 years and serving the Savannah area over 25 years. He is the Pharmacist in Charge at the Garden City location on Highway 21. Ron enjoys golfing and traveling in his spare time with his wife Stephanie. He also has a private pilot’s license and enjoys flying. 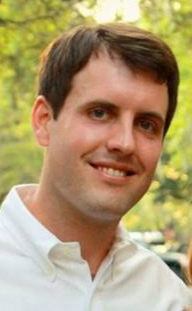 Joe grew up in Perry, GA, then attended the University of Georgia for undergrad. He transferred to South University School of Pharmacy and graduated in 2010. Joe and his wife have lived in Savannah since 2007 and have 2 sons. He was the Pharmacy Manager at Walgreens in Garden City for 4 years before joining the Quick RX family, where he has a great staff and loves coming to work every day. He enjoys UGA football, golf, going to the beach, and spending time with his family. He and his family are members of Isle of Hope United Methodist Church. Laura Brodmann is a Savannah native and has lived in the Islands community for most of her life. She attended Armstrong State College, where she earned a bachelor’s degree in chemistry in 1999. She then attended The University of Georgia School of Pharmacy and graduated with a doctorate of pharmacy in 2001. 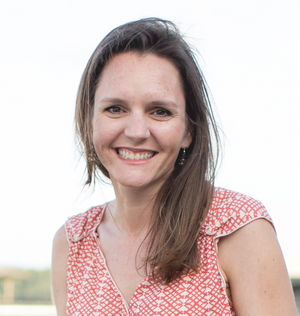 Prior to joining Quick Rx, Laura worked in several hospitals including St. Joseph’s in Savannah and Tanner Medical Center in Carrollton. She has been with Quick Rx at the Whitemarsh store since 2005. She and her husband have three daughters, and are members of Independent Presbyterian Church. Originally from Ashburn, GA (a small town in South Georgia), Carrie-Anne Wester transferred from Abraham Baldwin College to the University of Georgia to attend pharmacy school. 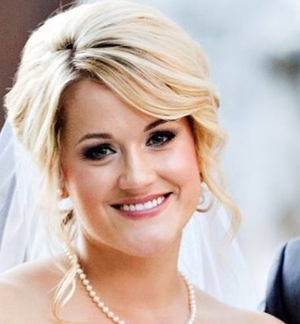 She graduated with her Doctorate of Pharmacy in 2006 and completed a Pharmacy Practice Residency at the Medical Center of Central Georgia in Macon. 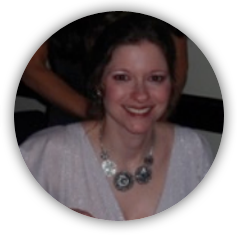 Carrie-Anne worked as Clinical Pharmacy Specialist in Cardiology for St. Joseph’s/Candler before signing on with Quick Rx in November 2008. She also teaches Pharmacology at Armstrong Atlantic University. Carrie-Anne loves learning, cooking, and listening to music. David Williford is a local product, raised in Garden City, Ga. and graduated from Groves High School. After high school, he went on to UGA where he graduated from The University of Georgia School of Pharmacy in 1984. 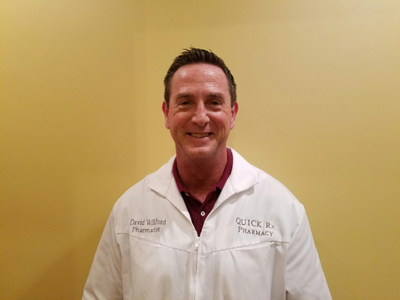 David joined the Quick Rx team in 2003 and has worked in various venues; managing the store in Rincon for several years before managing Quick Rx's hospital pharmacy for over 5 years. David, getting back to his love of retail pharmacy, is now floating between several locations on the westside and Effingham County. David lives in Rincon, Ga with his beautiful wife Tracy, of over 30 years. David and Tracy have 2 children, Brett and Allison. David is very involved in his home church in Garden City where he serves as Deacon, Sunday School Director, and drummer with the worship team. David enjoys exercising, sports, and of course..... UGA Football! 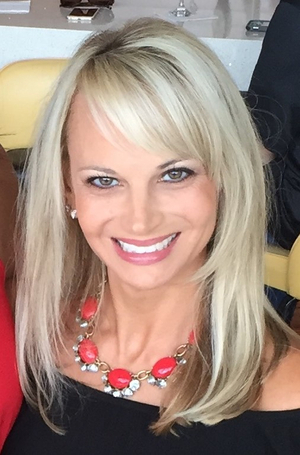 Julianna Parish has been employed with Quick Rx since November 2014. She grew up in Rincon, Georgia and attended Armstrong Atlantic State University. In 2012, she graduated from the University of Georgia College of Pharmacy with a Pharm.D. degree. Julianna lives in Pooler and works at the Pooler location. When she is not at work, she enjoys spending time with her husband, Brad, their son, and their 6 nephews and 3 nieces. 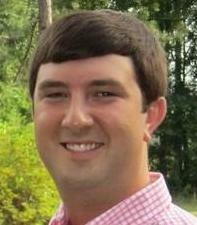 Beau grew up in Savannah and graduated from Benedictine Military School in 2005. After graduating from college in 2009 with a Bachelor’s Degree in Health Administration, he made the decision to attend pharmacy school instead of medical school, following in his grandfather’s footsteps (Dr. Fred O. Kessler Jr). He graduated in 2013 with his Doctorate of Pharmacy from the Medical University of South Carolina. Beau & his wife (Jessica) live in Savannah with their two children (Anna Kate & Banks). He enjoys UGA football, anything on the water, hunting, playing soccer and spending time with family. Beau and his family are members of Community Bible Church in Savannah.